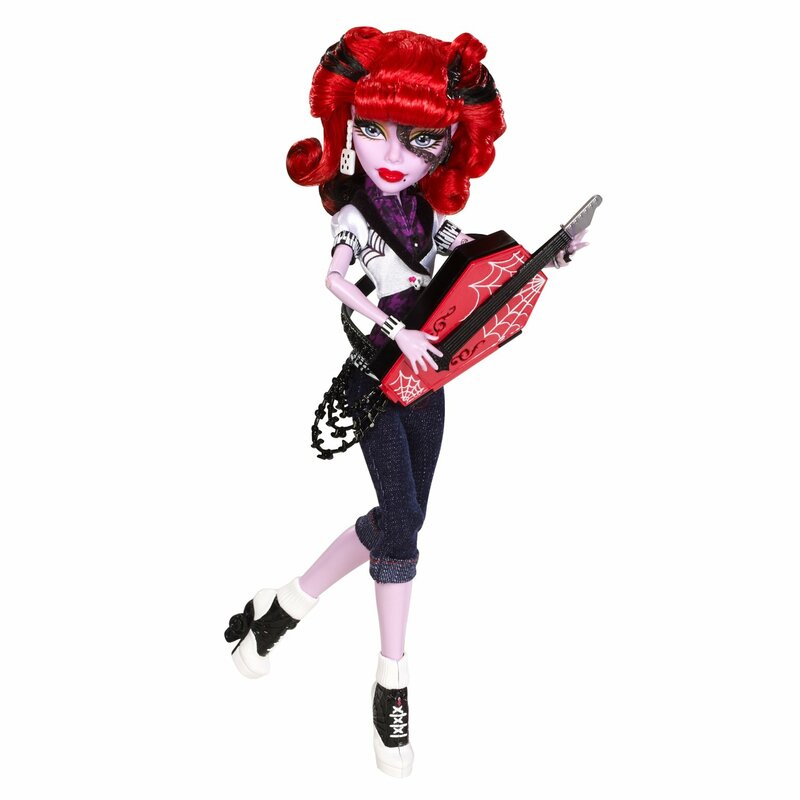 Operetta es la nueva alumna en Monster High y la fantasma más rockera del mundo de los espíritus. Tiene una preciosa marca de nacimiento que es como un gran tatuaje, desde la cara hasta el hombro. 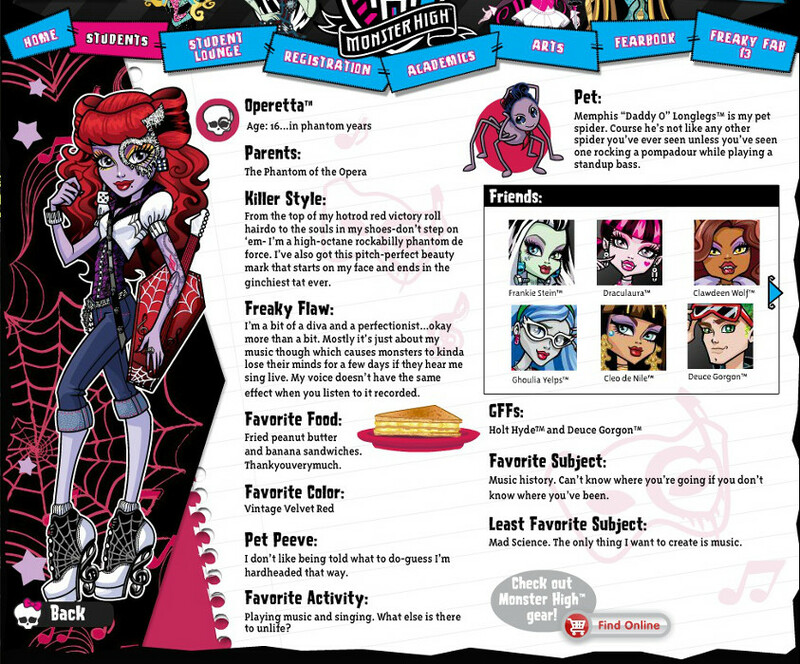 Monster High Operetta Doll: The Monster High student body just got scarier with the newest students joining your favorite ghouls in the howlways. New student Operetta won't be hiding in her freaky fabulous outfit. This daughter of the Phantom is ready to rock the howlways playing her coffin-shaped guitar. Dressed in her Rockabilly style with denim capris, heeled saddle shoes, and a little white jacket with a piano key print, she screams musical talent. Operetta doll is accompanied by her pet spider friend, Memphis “Daddy O” Longlegs. Operetta doll is fully articulated so she can be posed in many different ways and includes pet friend Memphis “Daddy O” Longlegs, doll stand, brush, diary and accessory.